The Tilt and Turn windows are elegant and offer the best of both worlds as regarding practicality. 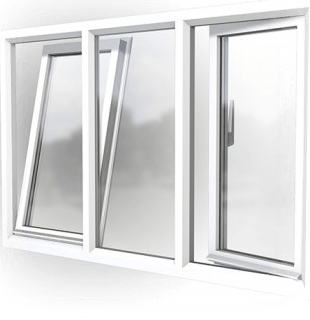 Can be made of uPVC or AluClad and have double or triple glazing for extra energy efficiency. A large variety of frame colours available. We fit and supply high quality made-to-measure ‘A’ rated Tilt and Turn Windows in the greater Dublin area.